Attack On Titan Season 3 Episode 9 will release on September 16th at 11am Pacific time and 11pm Pakistan Standard Time. Episode 8 returned the fast pace of the series as we see quite the changes inside the walls. The military have taken over the government inside the walls. Also the scouts have been declared free from all charges. It was a sure win for the Erwin and the Levi squad. 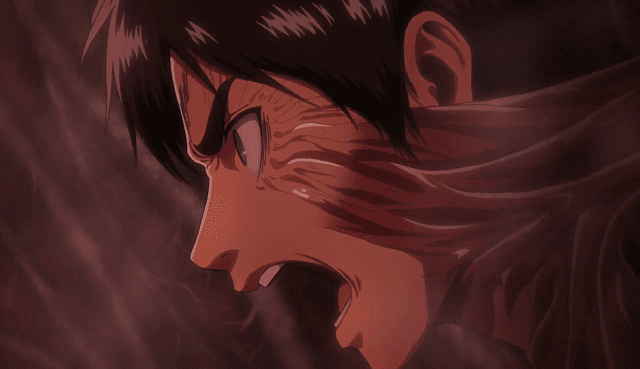 Shingeki no kyojin - Attack On Titan Season 3 Episode 9 | What to expect from "Ruler of the Walls"
We got to see the titanic titan also known as Rod Reiss titan and a lot of background stories. Related: Attack On Titan 45 | What to Expect from "Outside the Walls of Orvud District"
After the last episode it is quite clear that the only thing remaining in this arc is the killing of the Rod Reiss titan. Although his plan was to eradicate the titans in the beginning when he was young, he even went to prison for a short period because he pursued his father so much. I'm guessing the Rod Reiss titan will come for Orvud district as it is ignoring all other humans around it. The titan is quite devastating and could easily wipe out the walled city in a matter of minutes. It will probably be a huge challenge for the scouts killing the biggest on screen titan as of yet. 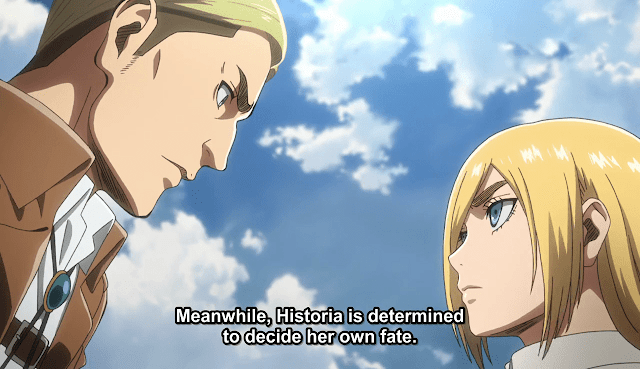 Apart from that a small story regarding Historia's future is also going on. 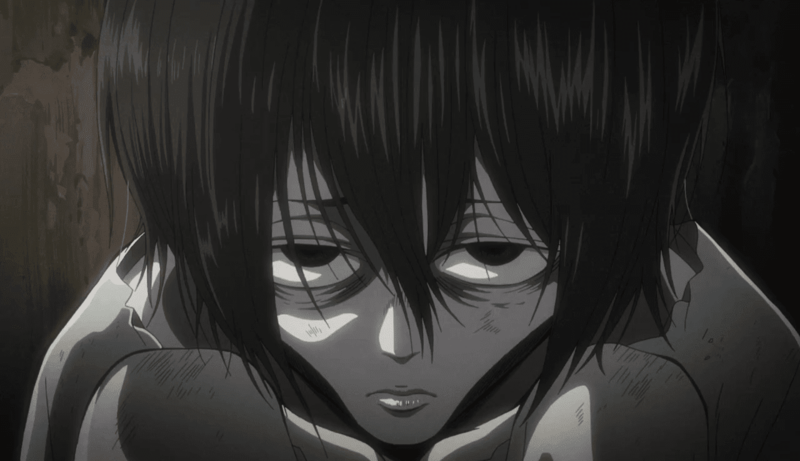 As Levi told her that she would become queen after the titan business. I guess that is what the title "Ruler of the Walls" means. I guess this episode will be concentrated on Historia becoming queen. The only backstory that remains to be told now is the relation of Levi and Kenny. Although we have seen the glimpses of their first meeting in the second episode of this season. Although it is still to be told. Here is the manga chapter 68 of attack on titan manga where Eren and the scouts fight the biggest titan they've encountered yet. These are all the expected stories I could find for the upcoming episode from different facebook pages and groups and twitter tweets. 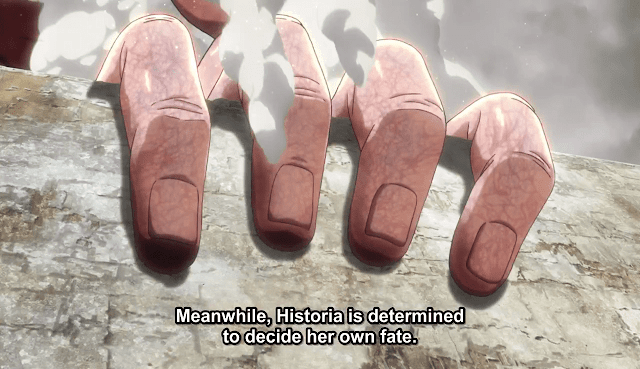 That's all for the Attack On Titan Season 3 Episode 9 | Ruler of the Walls article.